Our Lisbon posts have come to an end, but fear not, we are back in the not so sunny Manchester for something we haven’t done in too long – have some Afternoon Tea! We headed up to Chester to spend some early birthday celebrations with the family and to start the weekend we took the short trip for what has actually been so long awaited. James and I purchased a gift card for his parents to have tea here at Manchester House for Christmas, and they very kindly returned the favour for our birthday presents so we could all go together. That was nearly a year ago, and finally we found the chance to come. Upon arrival we took the lift up to floor 12 where we expected some spectacular views of the city but unfortunately we couldn’t see further than the nearby office blocks. 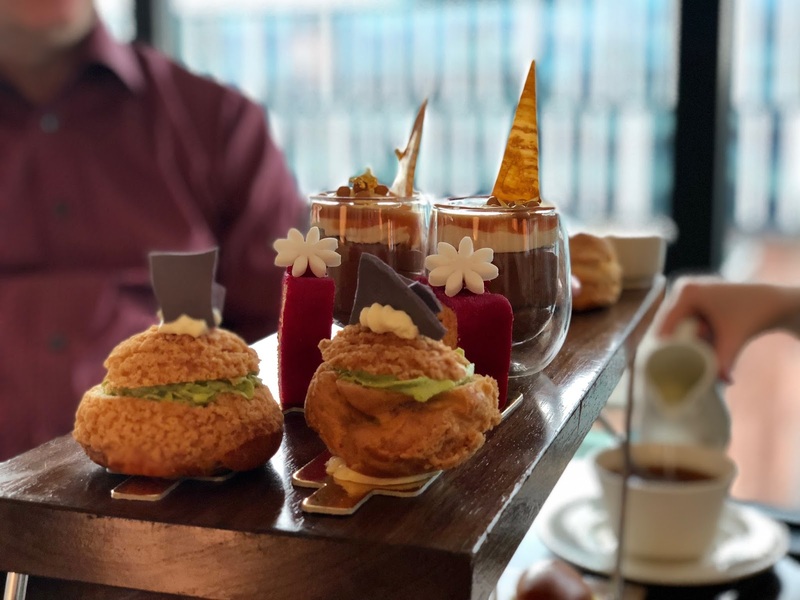 It was a shame but we tried to ignore that and focus on what was to come, and looking around us and seeing the range on the Afternoon Tea selection confirmed we were in for a real treat! with clotted cream, a selection of pastries and cakes and a choice of tea or coffee. The presentation was terrific and each item was divine with it’s own taste and complimentary to the next. We would have liked to have seen more savoury items as it did have more sweet treats on the top tier, but that didn’t take away how delicious it all was. 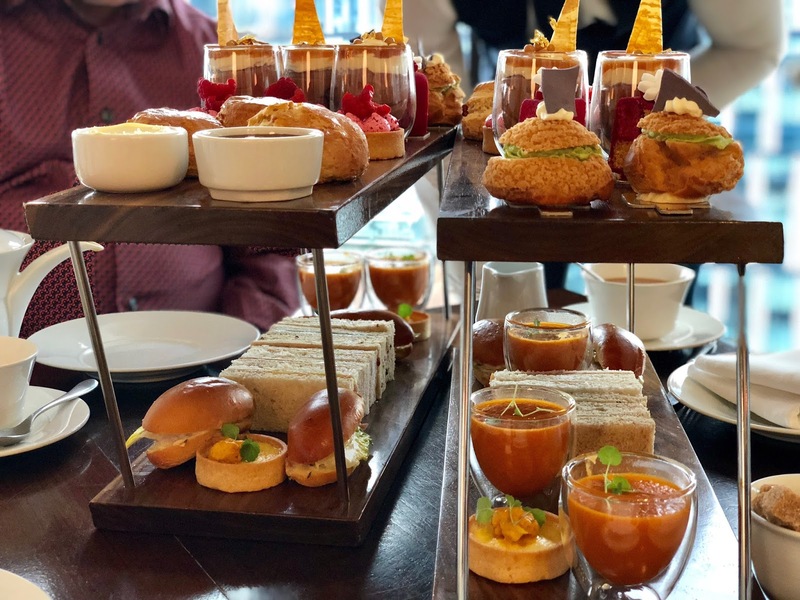 With every Afternoon Tea we have, we always look and think it won’t be able to fill us up, but as always, we were certainly more than satisfied. There will never be a better way to spend a relaxing Saturday afternoon! 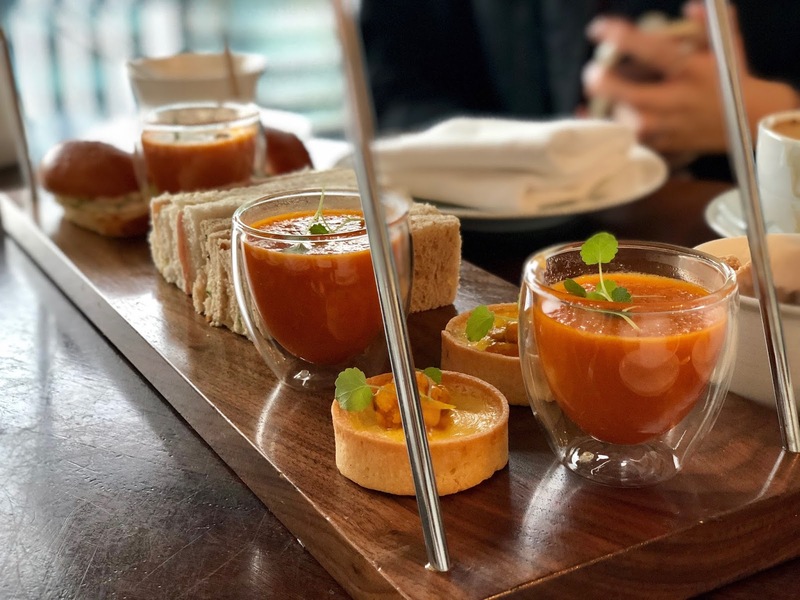 Wow the presentation of this afternoon tea looks amazing and trust me I have had a few. I am used to having a more tradiotional version though. Oh wow, that looks delicious! I love afternoon tea, it such a relaxing way to spend a Saturday. Oh my good heavens, this looks so scrumptious, makes me want to get the next train to Manchester!